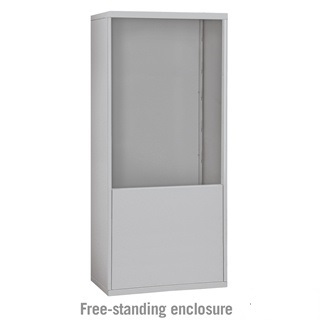 Enclosure is constructed of heavy duty aluminum. 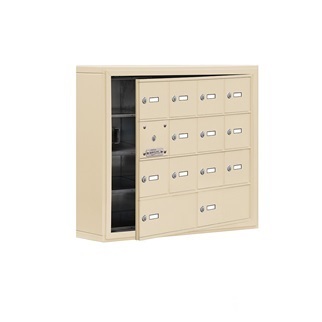 Unit is designed to accommodate recessed mounted cell phone locker units. 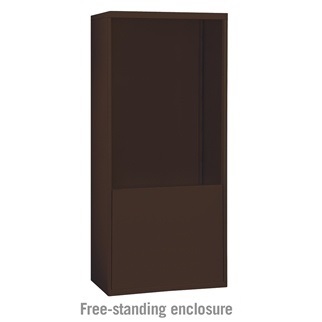 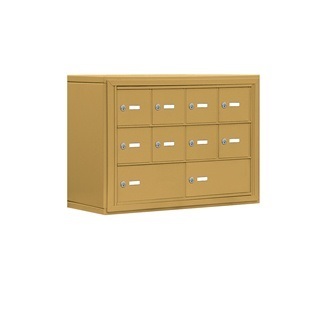 Enclosures feature durable powder coated finish available in 4 colors that match cell phone lockers. 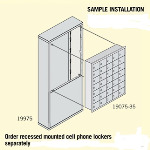 Recessed mounted cell phone fit easily into fully assembled enclosures with mounting hardware (included). 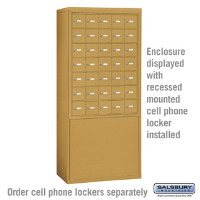 Units provide a convenient way of installing cell phone lockers in locations where surface or recessed mounted application is not desired or available. 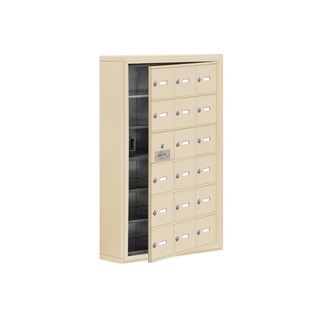 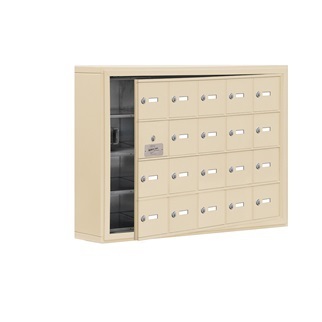 Shop extra deep cell phone lockers today for high-quality storage solutions for fitness centers, office buildings, schools and other high security building environments.